Summer — June 1 to Labor Day — 6:00 p.m.
Fall — Day after Labor Day to October 31 — 5:00 p.m.
Winter — November 1 to March 31 — 3:30 p.m.
Spring — April 1 to May 31 — 5:00 p.m.
Prices and operating hours subject to change without notice. You dont have to go to Africa for this African Safari. Its only a 20-minute drive from Yesterland. Lion Country Safari is 40 miles from Downtown Los Angeles or 64 miles from Downtown San Diego, according to the brochure. Just head down the San Diego Freeway to the Moulton Parkway off-ramp. Your safari awaits you right on the Irvine Ranch in Orange County, California. Drive up to a ticket window. Adults are $3.25; children five through eleven are $1.50; four and under are free. There is no charge for parking. If youre driving a convertible, you wont be allowed to drive it through the safari. (They dont really want the lions to eat you.) Park your convertible at the Hertz Hut and rent an air-conditioned sedan or safari-type vehicle at nominal charge. A ranger watches from a tower to make sure everything is okay. Youll see more than just lions at Californias Lion Country Safari. You can drive your Impala among the antelope. The cheetahs can outrun your Cougar—you have a speed limit, but they dont. Giraffes will tower over your Pinto. Curious ostriches might peck at your Falcon. Experience an authentic safari in your family car. The animals have the right-of-way. Given the size of the elephants and rhinoceroses, nobody should debate this rule. Camels and zebras and gnus, oh my! The zebras are glad that theyre separated from the lions by fences. Park guests are glad that the fences are hidden in ditches so that it feels like driving through an African savanna, not through a series of fenced enclosures. Keep your windows rolled up! The highlight of your safari is being surrounded by lions. The only thing between you and the ferocious beasts is your car window. A lion might even jump on the hood of your car—but, more likely, the well-fed lions will all be on the ground taking it easy. If a 500-pound adult lion dents the hood of your car, how will you explain it to your insurance company? When you finish your drive-through tour of the preserve, the fun isnt over yet. Park your car and visit the Safari Camp and Entertainment Area. For a larger (1200x1400 GIF) version of this Safari Camp map, click here. Take a Zambezi River Cruise (adults 75 cents, children 50 cents)—the animals along the river are real, unlike those at the Jungle Cruise in that park in Anaheim. 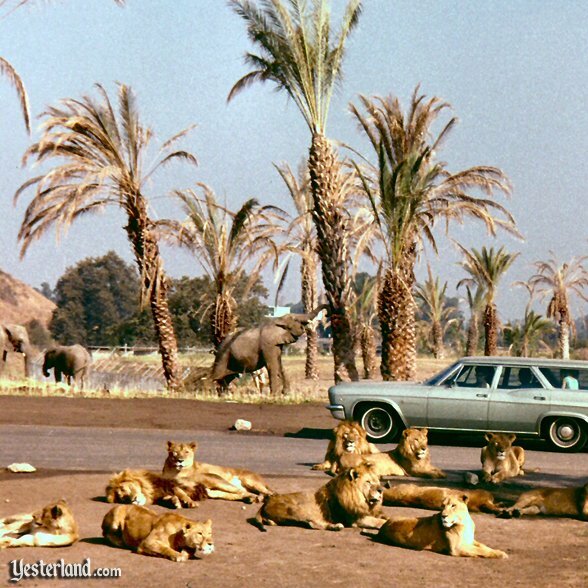 Californias Lion Country Safari entertained visitors from 1970 to 1984. 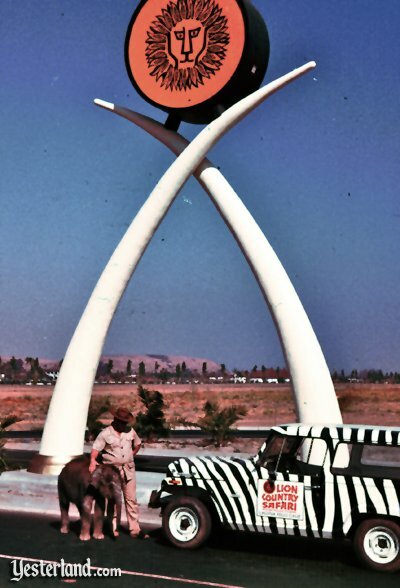 On June 16, 1970, Lion Country Safari in Irvine opened to the public. The location in Southern California had a lot going for it—a great climate, a large local population, and a significant tourist base. But Lion Country Safari had stiff competition from Disneyland, Knotts Berry Farm, and the beach. Lion Country Safari was given a big boost by an unlikely star attraction. An elderly, nearly toothless lion named Frasier came from a Mexican circus in February 1971. The old cats tongue dangled from one side of his mouth, and he had trouble walking. He may not have been much to look at as far as we humans were concerned, but the lionesses saw him differently. There was population boom of lion cubs at the park. Frasiers sorry visage adorned tee-shirts and other park souvenirs. Frasier sired 35 cubs until his death in June 1972 at 17-20 years of age, equivalent to a human age of 85-100 years. Frasier even inspired a 1973 feature movie, Frasier the Sensuous Lion, rated PG. In 1981, Irvine Meadows Amphitheater (now called Verizon Wireless Amphitheater) was added to Lion Country Safari. The roar of Lion Country Safari may soon be replaced by a gurgle. Park officials announced Thursday that they intend to phase out the 100-acre animal preserve at the struggling tourist attraction and replace a portion of it with a major water-theme amusement park. “This land is so valuable that it no longer makes sense to have these animals occupying 100 choice acres,” said Harry Shuster, president of Lion Country Safari Inc. Over the next three months, the park plans to begin converting operations and selling its estimated 300 “wild” animals—valued at more than $200,000—to other animal parks and zoos nationwide, Shuster added. When the lions and tigers are gone, the only remaining animals at the park will be tame ones in its petting zoo and exotic birds. Nevertheless, Shuster stressed, the park will retain the name Lion Country Safari. “Why not?” he asked. “Magic Mountain doesn’t have any magic nor is it on a mountain. And Knott’s Berry Farm hasn’t been a real farm for many years. In November 1984, after more than 14 years in business, Lion Country Safari closed permanently. In 1986, part of the former Safari Camp became Wild Rivers Waterpark. Surprisingly, the “so valuable” land that was once the drive-through safari remained undeveloped for decades. The water park operated until September 2011. It’s now the site of Los Olivos, the largest apartment complex in Orange County, with 1,750 units. More apartments are planned for the site of the amphitheater when its lease runs out in 2017. Yes, Lion Country Safari is long gone—but you can still visit Lion Country Safari. It doesnt require a time machine. Thats because the original (1967) Lion Country in Loxahatchee, Florida, is still in open for business. 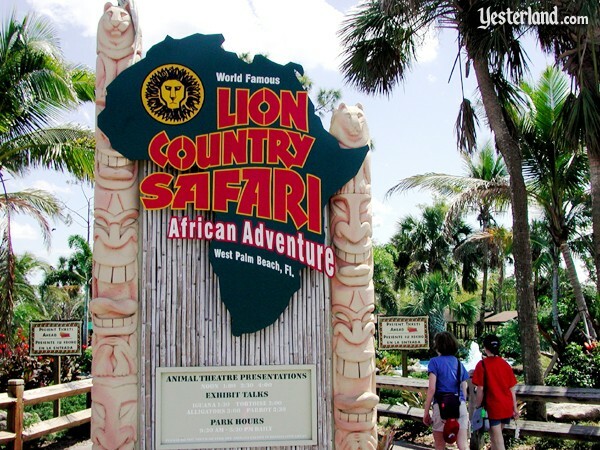 Theres still a Lion Country Safari near West Palm Beach, Florida. Over 900 animals live at the Florida park. The four-decade-old attraction has aged gracefully. In recent years, the owners have upgraded the facilities with new features such as a giraffe feeding station, a ferris wheel, and a childrens water-play area, Safari Splash. Cars and animals still the share the road in Florida. Theres a four-mile drive-through preserve which provides great views of many different species. Guests are lent a CD or cassette for commentary through the cars stereo. The lions are now fenced in. Chimpanzees live on islands. The elephants, who had long ago been moved into an elephant enclosure, were removed from Lion Country Safari in 2006; they are now at facilities that provide better social and physical environments for them. (Lion Country Safaris Bulwagi the elephant was at Disneys Animal Kingdom for four years before moving to the Birmingham Zoo in December 2010.) But there are still plenty of species wandering around in surprisingly large herds. Ostriches seem to enjoy seeing their reflections in car windows. The Safari World area provides animal exhibits, demonstrations, and rides (including rather Dumbo-esque flying elephants). 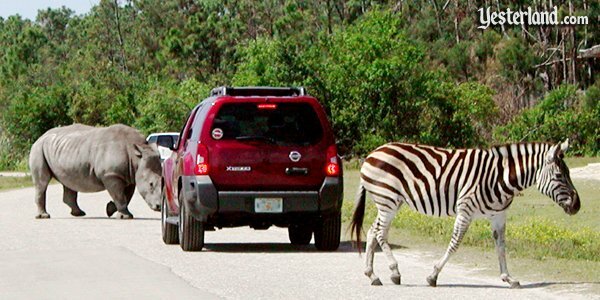 After visiting Safari World, guests are welcome to drive through the preserve again at no additional charge. Its worth visiting Floridas Lion Country Safari if you like animals and youre in the area. Dont expect the spectacular art direction of Disneys Animal Kingdom. (It doesnt cost as much for admission either.) This is a lovely, old-fashioned Florida attraction for guests of all ages. 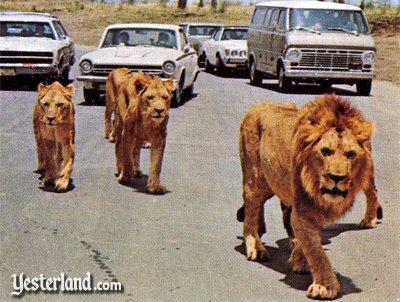 Scanned image of lions on road at Lion Country Safari, Irvine, California, from a Lion Country Safari brochure circa 1971. Included here for historical illustration. Scanned cover of Lion Country Safari brochure circa 1971. Included here for historical illustration. Photo of Lion Country Safari sign: from the collection of Richard Harris. 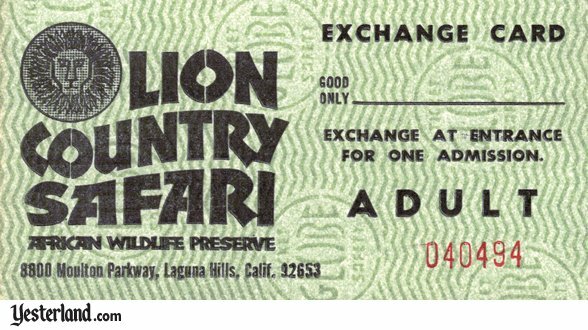 Scan of Lion Country Safari exchange ticket: from the collection of Richard Harris. 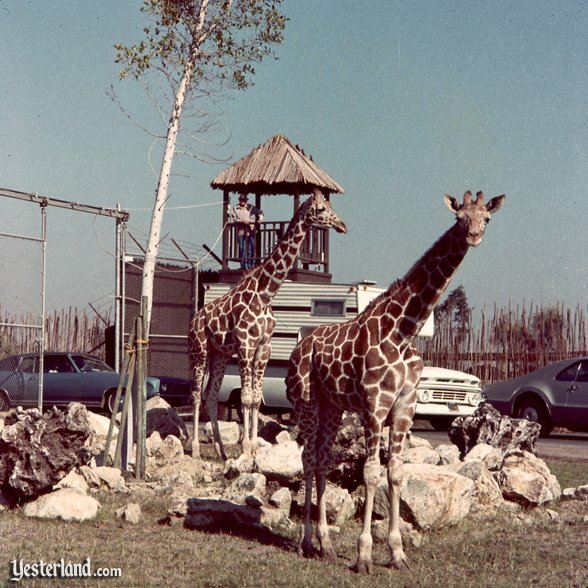 Photo of Lion Country Safari guard tower and giraffes: from the collection of Richard Harris. Scanned image of rhinos and elephants at Lion Country Safari, Irvine, California, from a Lion Country Safari brochure circa 1971. Included here for historical illustration. 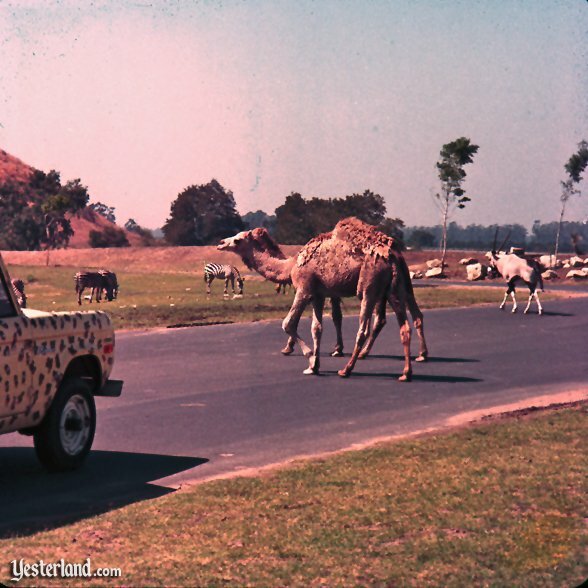 Photo of Lion Country Safari camels: from the collection of Richard Harris. Photo of Lion Country Safari tigers: from the collection of Richard Harris. 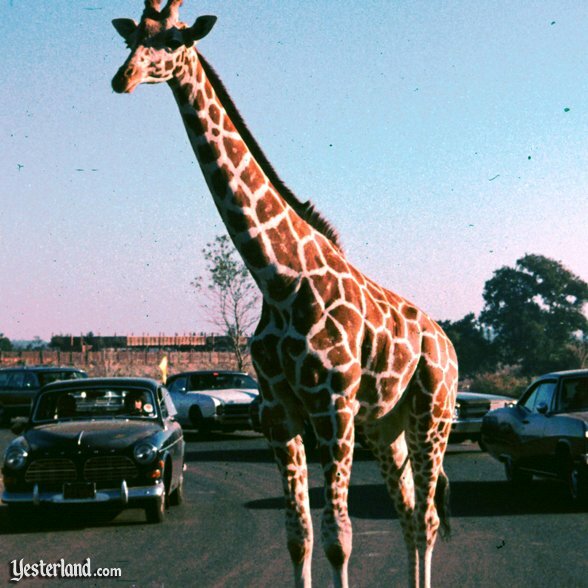 Photo of Lion Country Safari giraffes on road: from the collection of Richard Harris. 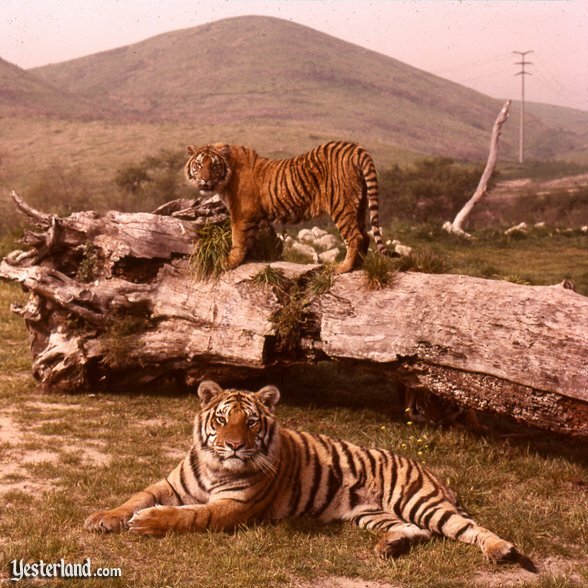 Photo of pride of lions at Lion Country Safari: courtesy of the Orange County Archives, Santa Ana, California. 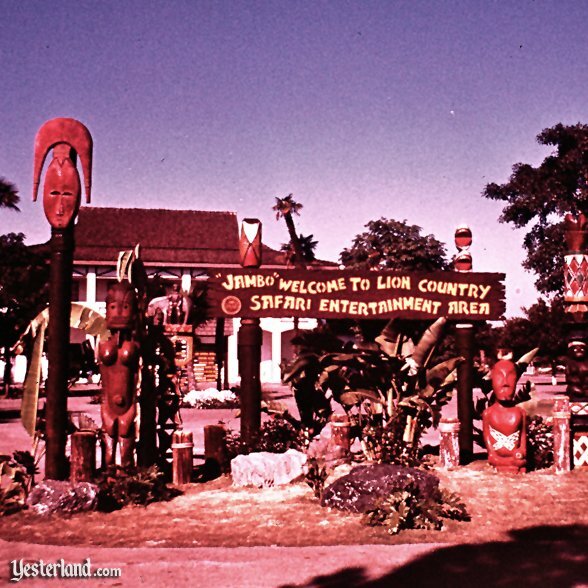 Photo of Lion Country Safari entrance to Safari Camp: from the collection of Richard Harris. 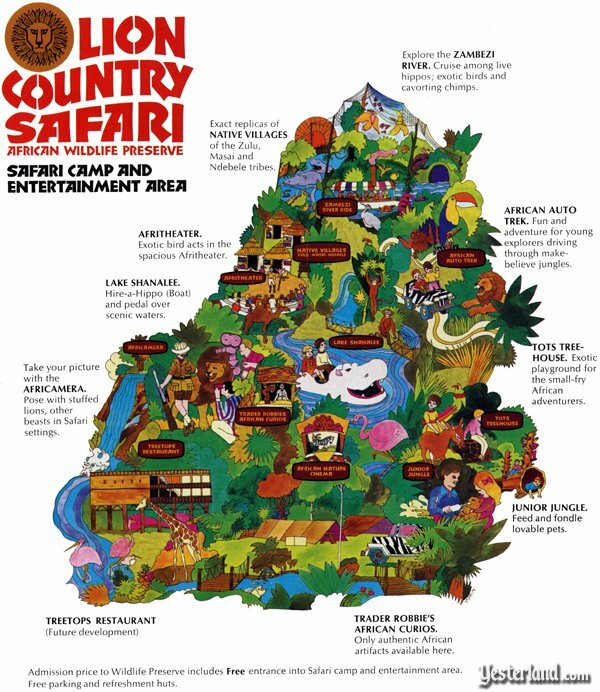 Scanned image of map of Safari Camp and Entertainment Area at Lion Country Safari, Irvine, California, from a Lion Country Safari brochure circa 1972. Artist: T. Smith. Included here for historical illustration. 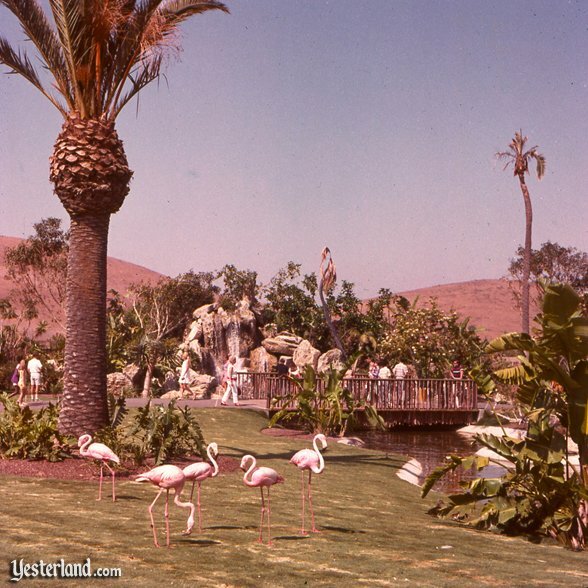 Photo of Lion Country Safari flamingos: from the collection of Richard Harris. 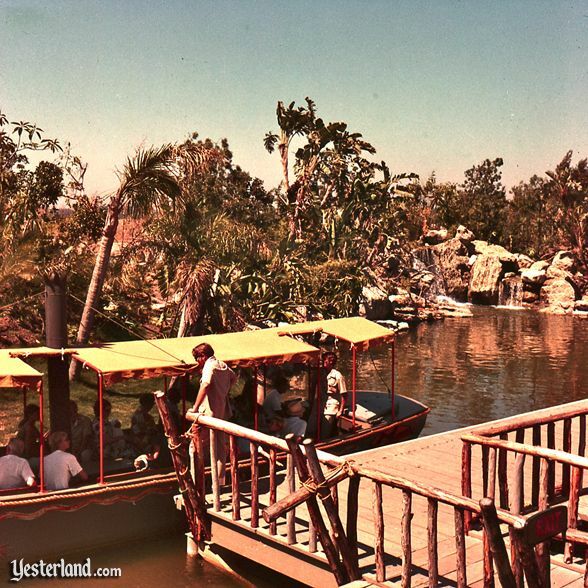 Photo of Lion Country Safari boat ride: from the collection of Richard Harris. Photo of Lion Country Safari (Florida) sign: 2006 by Werner Weiss. Photo of animals and SUV at Lion Country Safari (Florida): 2006 by Werner Weiss. 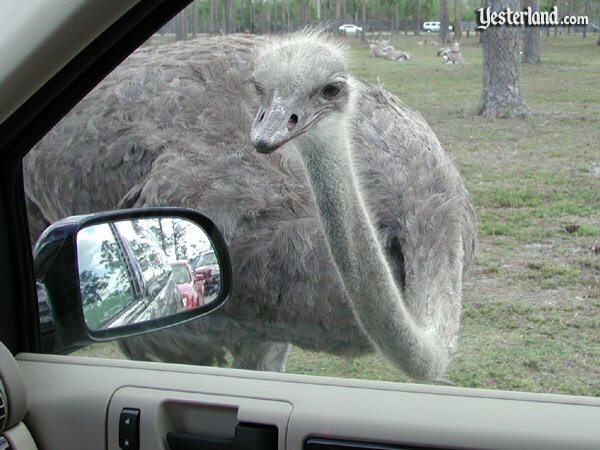 Photo of an ostrich at Lion Country Safari (Florida): 2006 by Werner Weiss. Richard Harris is the author Early Amusement Parks of Orange County.